For years, pie was one of those things I was intimidated by. Why? It’s a marquee holiday dessert, easy to get wrong (the crust! ), and the whole process is fairly long and labor-intensive. I got over that fear thanks to my best friend’s aunt – she took a day and demystified pie for us two aspiring bakers in her large, sunny kitchen. These days, Thanksgiving isn’t complete if I haven’t made three pies. That said, I wasn’t in a hurry to branch out from the exact technique Aunt Laura taught us. UNTIL. I asked my local library to order a copy of The Four & Twenty Blackbirds Pie Book: Uncommon Recipes from the Celebrated Brooklyn Pie Shop. I borrowed it, but only peeked inside once before returning it. When I found out that authors Emily and Melissa Elsen would be at the Baltimore Book Fest this past fall, I made it my mission to go to their presentation. Which was awesome. I was an instant convert (the Bourbon Pear Crumble pie slices they passed around didn’t hurt). Armed with this cookbook and my newly-acquired tools of the trade (thanks to the holidays! ), I feel like an adventurous baker. Long live pie! From the proprietors of the renowned Brooklyn shop and cafe comes the ultimate pie-baking book for a new generation of bakers. 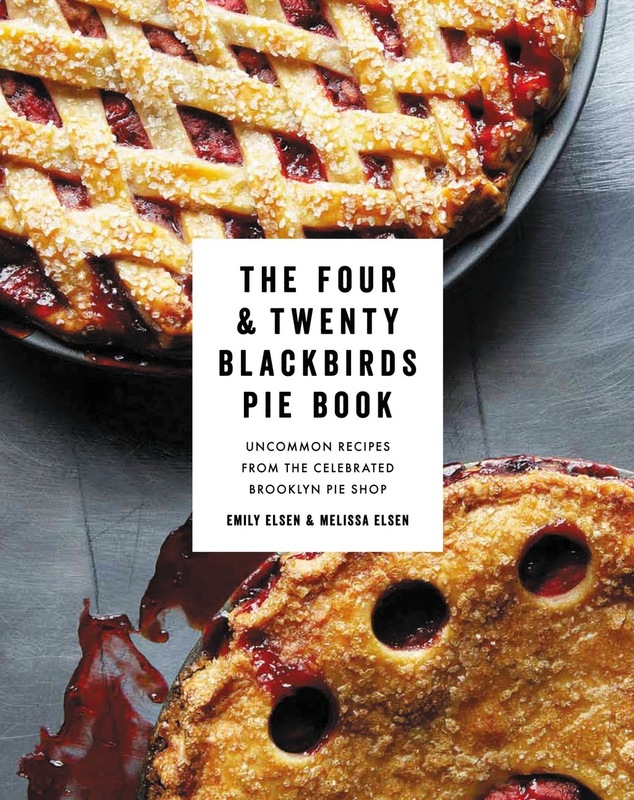 Melissa and Emily Elsen, the twenty-something sisters who are proprietors of the wildly popular Brooklyn pie shop and cafe Four & Twenty Blackbirds, have put together a pie-baking book that's anything but humble. This stunning collection features more than 60 delectable pie recipes organized by season, with unique and mouthwatering creations such as Salted Caramel Apple, Green Chili Chocolate, Black Currant Lemon Chiffon, and Salty Honey. There is also a detailed and informative techniques section. Lavishly designed, The Four & Twenty Blackbirds Pie Book contains 90 full-color photographs by Gentl & Hyers, two of the most sought-after food photographers working today. With its new and creative recipes, this may not be you mother's cookbook, but it's sure to be one that every baker from novice to pro will turn to again and again. This cookbook is as advertised: it’s a collection of pie recipes from the pie shop that South Dakota-raised sisters Emily and Melissa Elsen own and run in Brooklyn, New York. If you’re like me, the mention of Brooklyn + _____ [insert some trendy thing here] makes you a little wary. I always wonder, “Will this be for real? Or did it just get this far because NYC is the center of the world (at least according to New Yorkers and half of the East Coast).” Luckily, this pie book has solid roots – decades of baking and food service run along the Elsen girls’ maternal line. Though they’re self-taught, Emily and Melissa’s recipes and methods are reliable (and delicious). Best part of the cookbook: uhhh… everything? I adore it. I take it off the shelf often, and I think I will continue to do so. It’s dead useful for anyone interested in pie, and it’s ridiculously pretty. It also hasn’t steered me wrong yet – the recipes, if you follow them to the letter, are kind of ridiculously reliable. My OCD-prone baking soul is content. Worst part: again, I don’t have anything to say here. You can skip over the intro if you want, but the rest is readable and useful. In conclusion: if pie matters to you, get this book. Buy/borrow/whatever-you-have-to-do. It’s worth a perusal for the photos alone, but I’ve found it extremely practical and inspiring, as well. A+. Recommended for: pie bakers (from aspiring to experienced), those interested in local/seasonal food preparation, and anyone with an eye for attractive cookbook design. This cookbook has been on my wishlist for awhile but I've never quite felt confident enough to buy it. I'm so excited to see your review! I have a gift card and I know what I'm going to spend it on! Thanks for the great, mouthwatering review! I'm sold. I'd also been wondering about this cookbook for awhile and now see that I must get it. Your bourbon pear crumble looks so delicious! I may have to try this one! I can make a pate sucree, but my pie skills are lacking. having them pass out samples of pie is a great way to hook you. Sounds like a fantastic book! 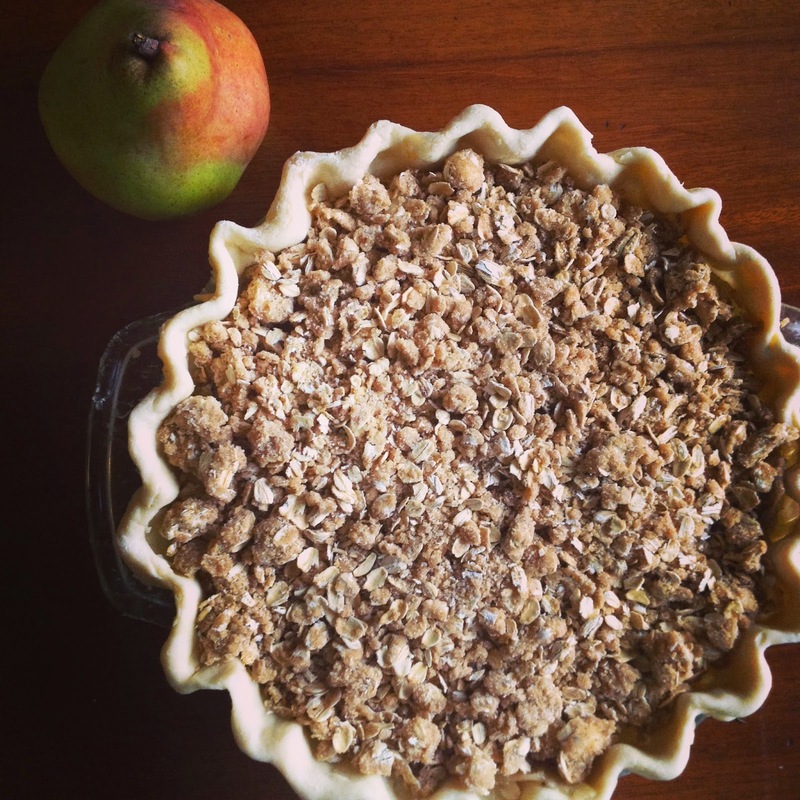 I love pies and I never really mastered pie crust (on my bucket list)! Still, I'd love to find one that is consistently awesome and sweet. Pies are my favorite dessert, and this book sounds amazing!